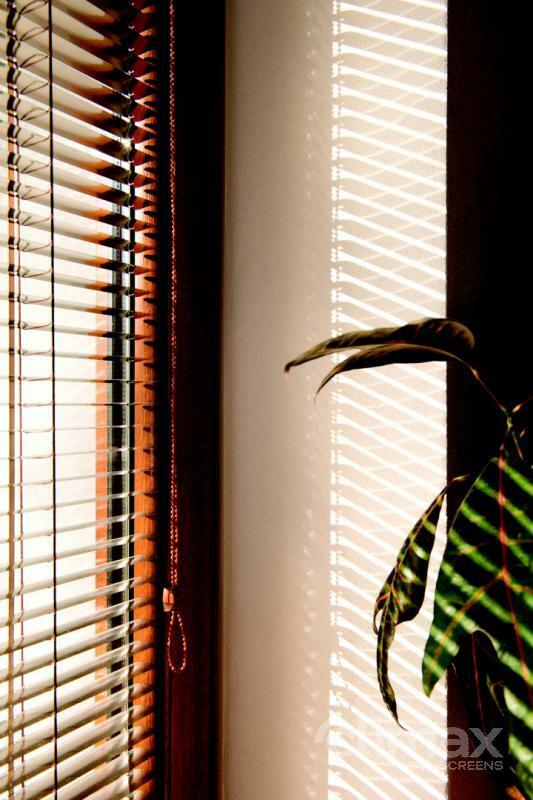 Aluminium venetian blinds - SERVIS CLIMAX, a.s. 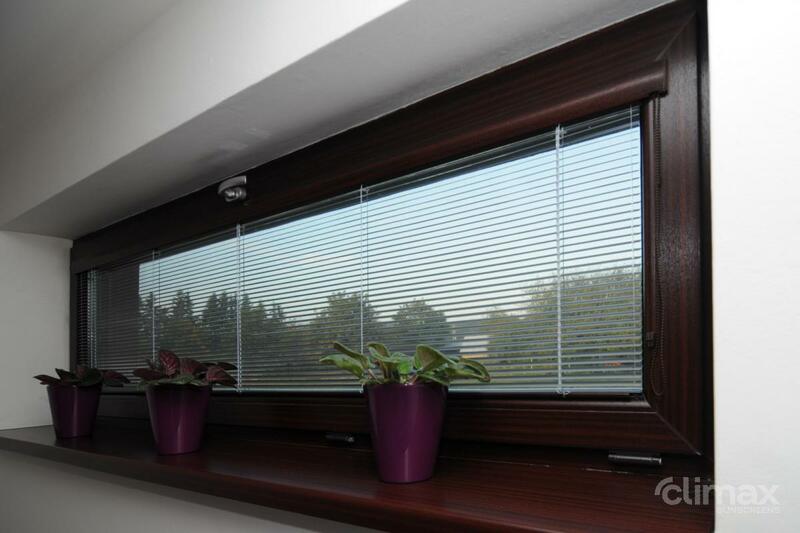 The aluminium IDS Venetian blind is a model fitted with a broad headrail cover valance. 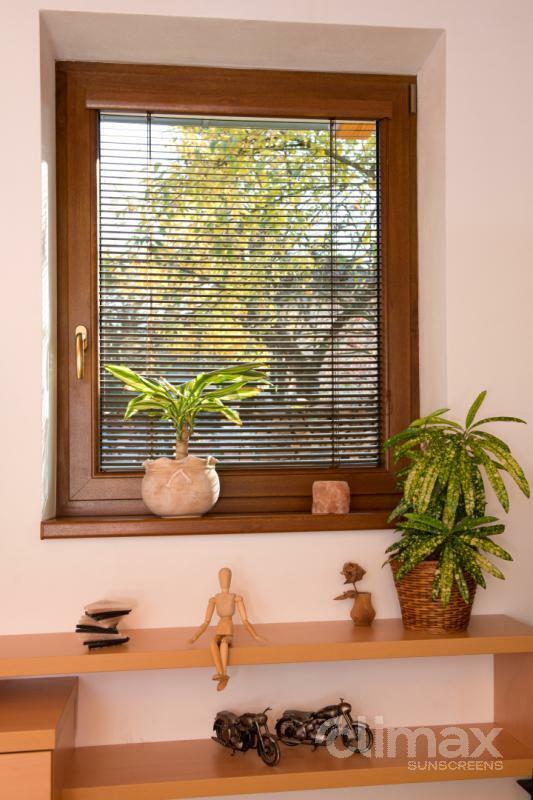 The blind is particularly suitable for plastic windows. 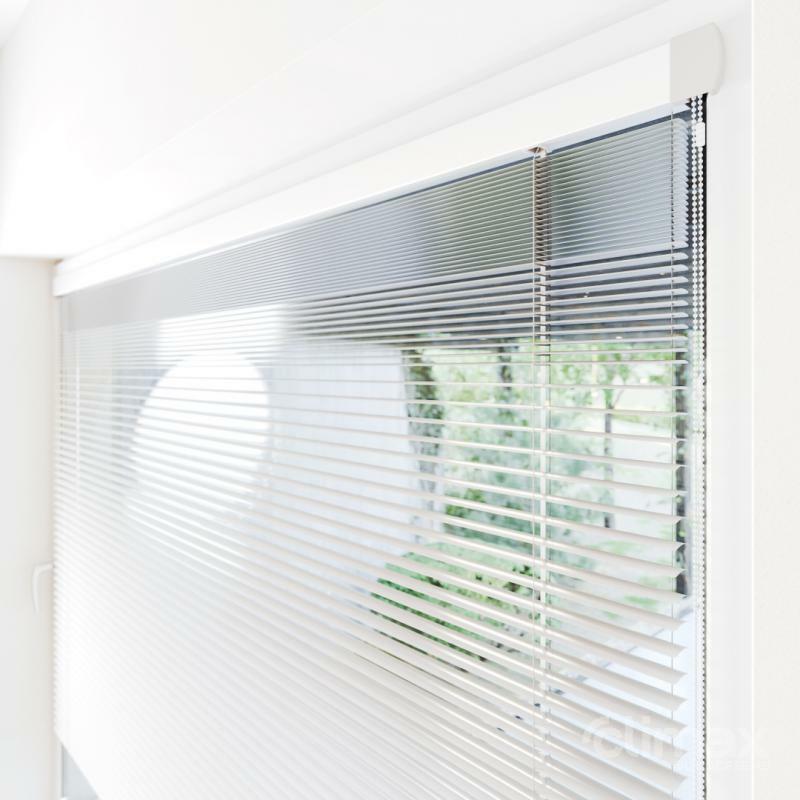 Unlike the other models, the IDS aluminium blind has reduced and rounded plugs in the headrail cover valance. 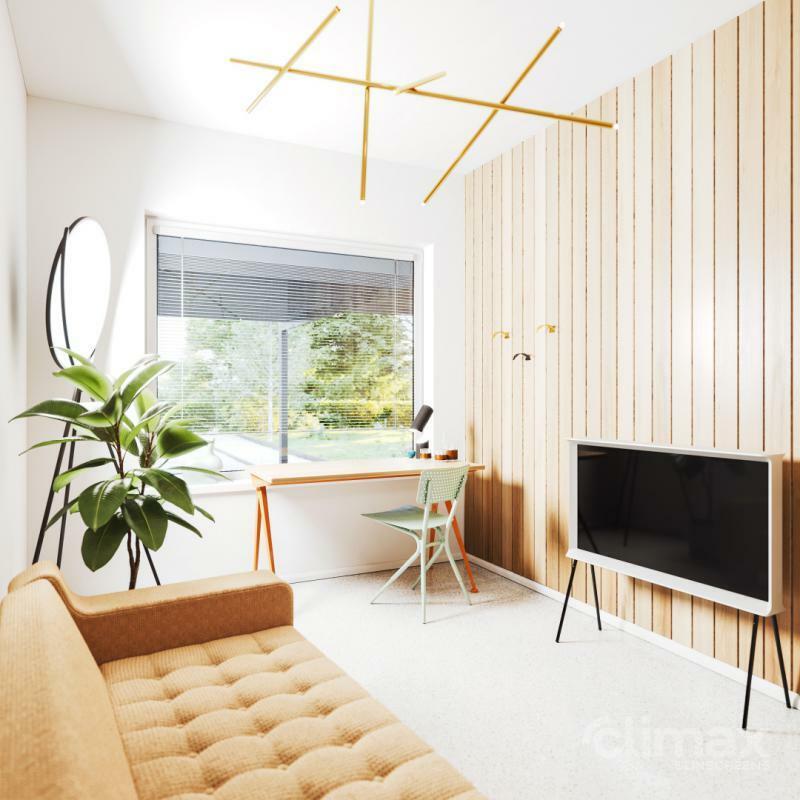 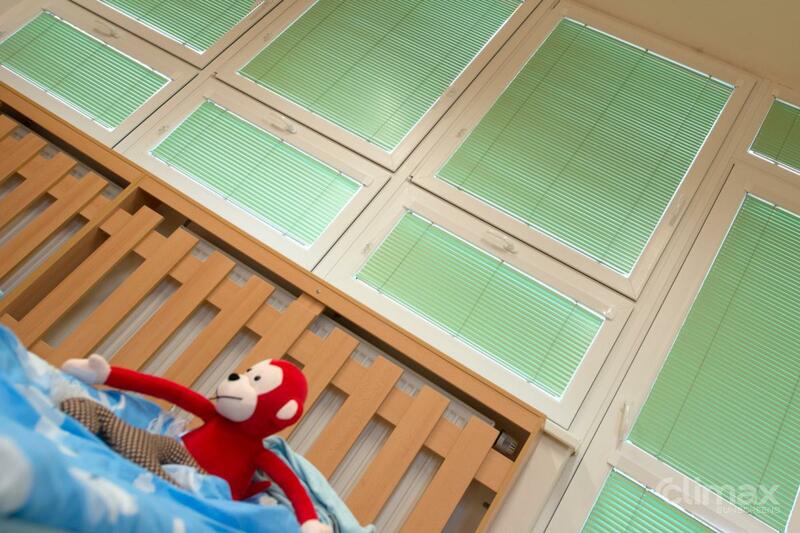 The blind is installed in the glazing moulding and is controlled by a chain. 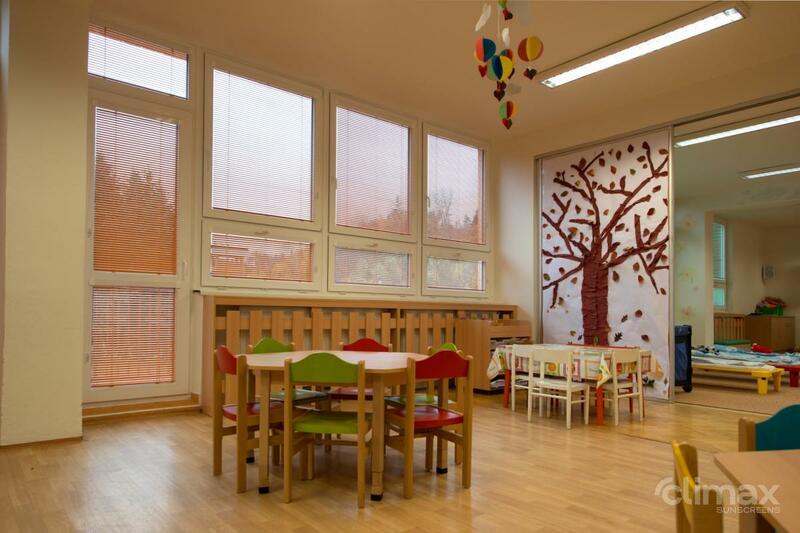 The quality of the technical design and the mechanical system has been tested by 65,000 up and down drawing cycles. 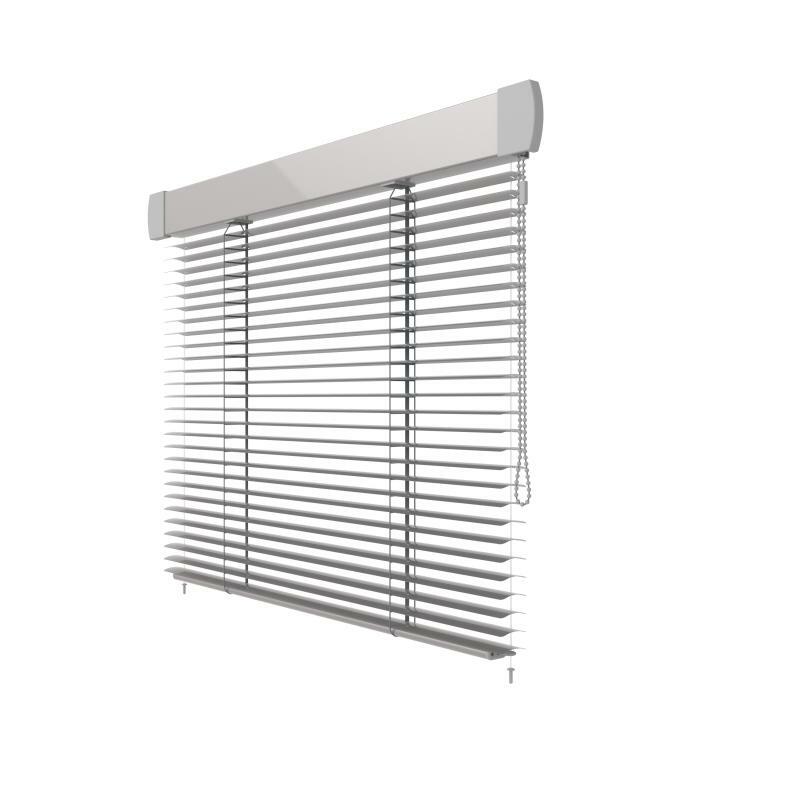 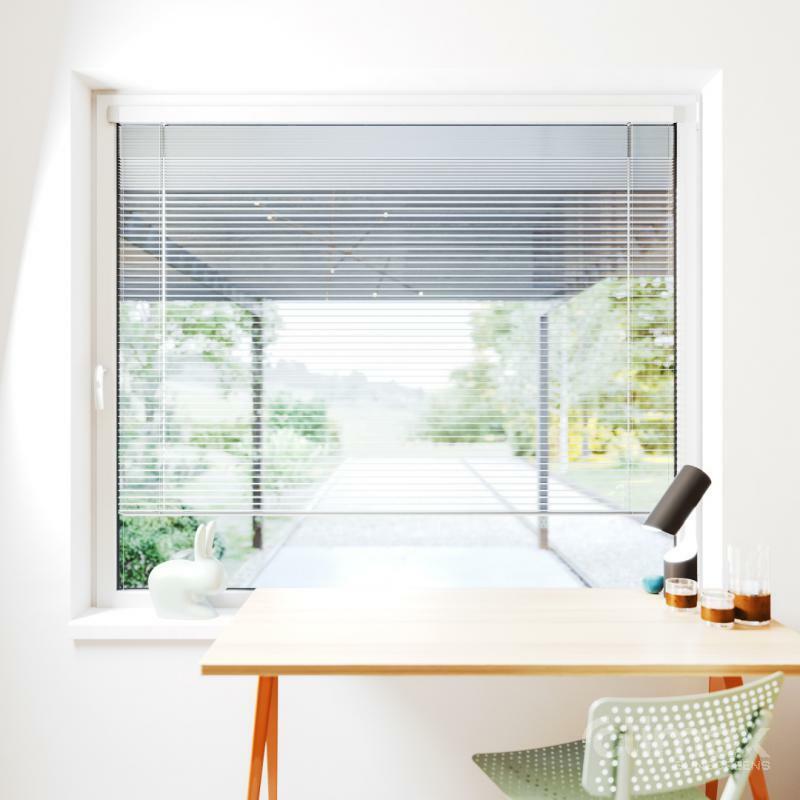 For larger areas, the blind is equipped with a gearbox for easier operation and all blinds can be fitted with a brake. 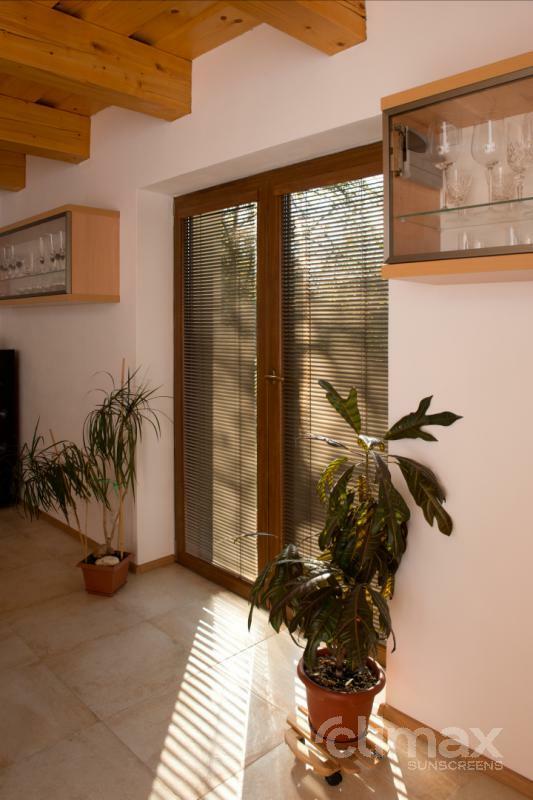 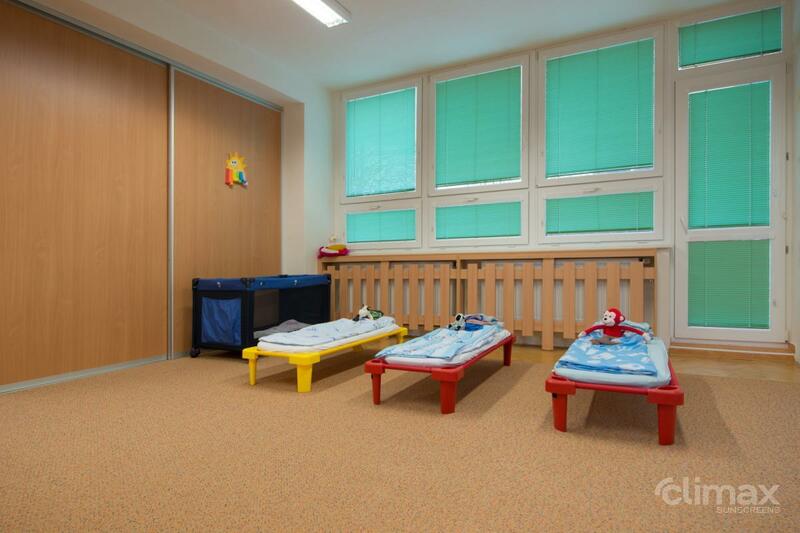 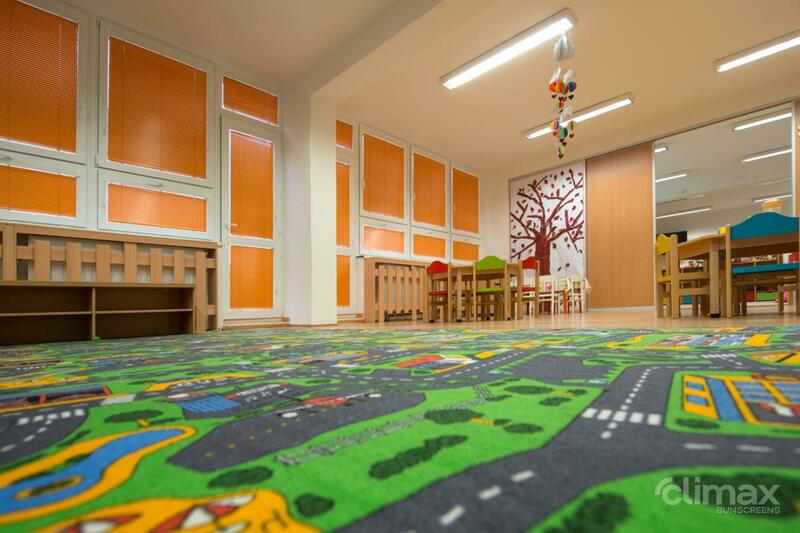 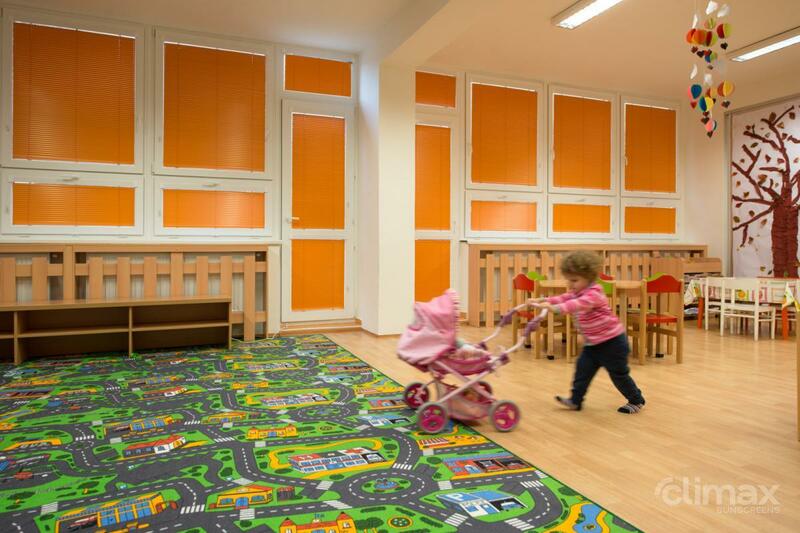 The IDS blind can be supplemented with a rounded RONDO strip.